This Wilmington Delaware client wanted to remodel their large master bath with a tub and small shower. The clients wanted a large shower and a make-up area. We removed the large tub area and changed it to the new large shower area. The old shower area became the make-up area. 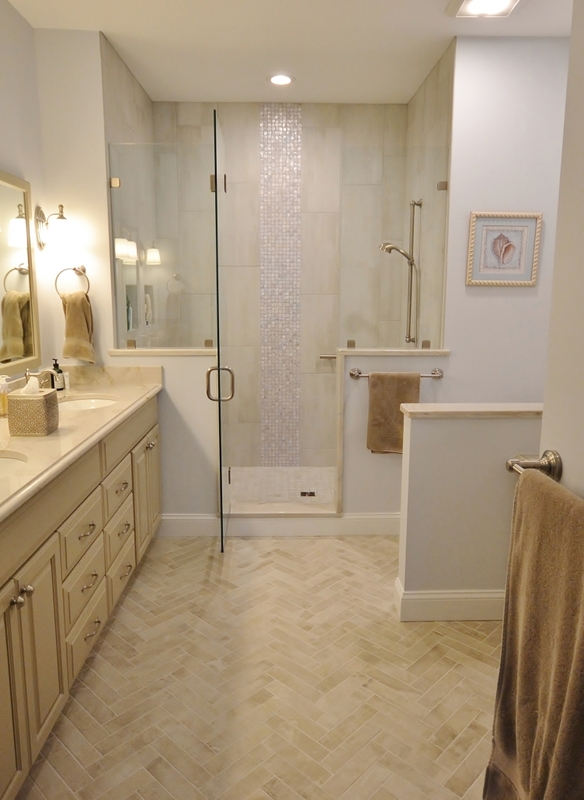 Fieldstone Cabinetry in their new Stone painted finish were used and they look great with the new tile floors set in a herringbone pattern. 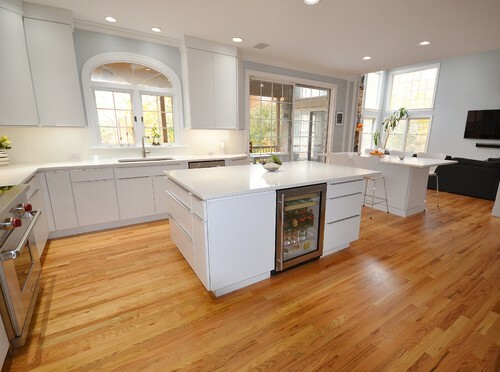 The new tile floors are heated by NU-Heat under floor electric radiant heat. The new shower becomes the focal point of this new bath; with plenty of space, a new bench seat, and a great new tile design. Bianco Supreme granite was used for the vanity and make-up area countertops as well as the shower seat, and all the wall caps.